We’re doing it again. Lead 🚲 the Mardi Gras Parade with BFOC! 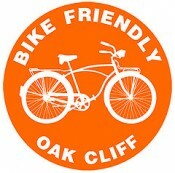 Decorate your bikes with us beforehand and throw beads to the crowd at Oak Cliff’s Mardi Gras Parade Sunday, March 3rd!!! Staging at Nova Restaurant, 2-4pm. Parade starts at 4pm. Invite your facebook friends and bring the whole family! TWEED RIDE MOVED TO SUNDAY! Rolling Ribbon Cutting June 15 for the Trinity River Revel!